*** Will Communist China Give Nuclear Aid to Pakistan? During the late 1970s, for example, the CIA acquired information suggesting and later confirming that China had aided the Pakistani nuclear weapons program by providing it with weapons design information. According to recently declassified State Department Bureau of Intelligence and Research (INR) reports published today by the National Security Archive and the Nuclear Proliferation International History Project, years earlier, not long after China's first nuclear test (October 1964), INR wondered whether China would help Pakistan, among other countries, acquire a nuclear capability. INR experts believed that China had limited resources and seemed "cautious and indecisive" on the question of nuclear assistance, but they saw "reasons for continued concern." A year later, intelligence reports concerning visits to China by Pakistani defense and science advisers sparked the question, "Will Communist China Give Nuclear Aid to Pakistan?" INR analysts downplayed their significance, arguing that both countries would see risks in nuclear weapons cooperation, although assistance for peaceful purposes was possible. One of the visitors to Beijing, the future Nobel Prize winner Abdus Salam, later played a central role in the 1972 Pakistani nuclear weapons decision, but INR could not foresee that. *This presentation is drawn from two Council on Foreign Relations Special Reports, Revising U.S. Grand Strategy Toward China (March 2015), by Robert D. Blackwill and Ashley J. Tellis; and Xi Jinping on the Global Stage: Chinese Foreign Policy Under a Powerful but Exposed Leader (February 2016), by Robert D. Blackwill and Kurt M. Campbell. China’s primary strategic goal in contemporary times has been the accumulation of “comprehensive national power.” This pursuit of power in all its dimensions—economic, military, technological, and diplomatic—is driven by the conviction that China, a great civilization undone by the hostility of others, could never attain its destiny unless it amassed the power necessary to ward off the hostility of those opposed to this quest. ** The space between borders and lines of control They may have proposed the Geospatial Bill, but is the government drawing the line consistently in its dealings? In between the terms ‘frontier’ and ‘international boundary’ rests the term ‘border’, which more often than not is created as an interim measure during the transition of a frontier into an international boundary. It can be defined as a mutually-accepted line or zone — more often the latter — established to maintain status quo, pending a final settlement of the erstwhile frontier region in form of delimited international boundary via negotiations or failing which, by conflict. The defence budget has dipped to 1.72 per cent of the country’s GDP – the lowest level since the disastrous 1962 War with China. Parliament’s Standing Committee on Defence and the armed forces have repeatedly recommended that it should be raised progressively to 3.0 per cent of the GDP if India is to build the defence capabilities that it needs to meet future threats and challenges and discharge its growing responsibilities as a regional power in Southern Asia. During its first two years in office, the NDA government gave a free hand to the army to act pro-actively on the LoC with Pakistan. It worked assiduously with the leadership of the armed forces and the bureaucracy to give a fillip to the stalled process of military modernisation. However, the state of defence preparedness continues to merit the government’s urgent attention. The army reportedly has some varieties of ammunition for barely ten days of conflict and it will cost Rs 19,000 core to replenish stocks. 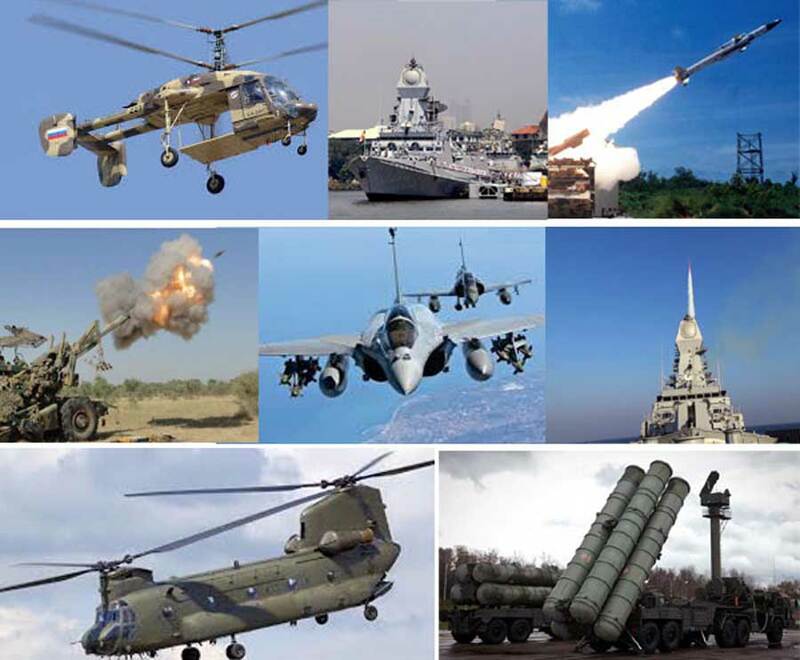 In the remaining years in power, the Modi government must address the ‘critical hollowness’ plaguing defence preparedness – a term used by General V K Singh, former Army Chief, in the letter he wrote to the then Prime Minister in May 2012. Also, major operational voids in the war establishment of the three Services must be made up early in order to enhance combat readiness. Prime Minister Narendra Modi’s recent visit to Iran marks a new beginning in bilateral relations and beyond. The centrepiece of the trip was the basket of agreements on the development of the Chabahar port and onward connectivity with Afghanistan. The government deserves praise for the manner in which various pieces of this were put in place. The ground was prepared by extensive interaction of key Ministries — External Affairs, Transport, Finance and Petroleum — with their Iranian counterparts to overcome persistent hurdles and ensure synergies. In consequence, we have a set of interlinked outcomes: a contract for the development and operation for 10 years of two terminals and five berths; the extension of credit lines of $500 million for the port and of Rs.3,000 crore for importing steel rails and implementation of the port; memorandums of understanding on provision of services by Indian Railways, including financing to the tune of $1.6 billion, for the Chabahar-Zahedan railway line — a line that is also part of the trilateral agreement between India, Iran and Afghanistan on a transit and trade corridor. To be sure, the real challenge for India is in delivery. If MoUs were an index of influence, New Delhi should have had a lot more of it. Still, the level of coordination within the government is noteworthy given that it has taken us nearly 13 years since the idea was first mooted. The proposal was mired in three sets of problems. The Finance Ministry initially applied the brakes on plans for development of the port, insisting that there had to be a certain assured return on investment for the project. The strategic import of the project, especially by way of providing access to Afghanistan, did not figure in their calculations. By the time the Ministry was persuaded of the need to press ahead, other complications had crept into the picture. CAP OFF: “While the right to a pollution-free environment can be traced to Article 21, it is neither a problem unique to Delhi nor the exceptional responsibility of taxi drivers to redress.” Picture shows a taxi waiting to be filled at an outlet in New Delhi. Alexander Hamilton, one of the authors of The Federalist Papers, foundational documents for the U.S. Constitution, presciently wrote that the judiciary “has no influence over either the sword or the purse”. Instead it only has its power of judgment, using which it must earn the respect of the people. Few courts have demonstrated the truth of this proposition more amply than the Supreme Court of India. At its inception in 1950, its greatness lay in the erudition of its judges, the majesty of the legal profession and the sheer breadth of power invested in it by the framers of the Constitution. As India evolved, so did the reasons for the Supreme Court’s greatness — it was a court that spoke truth to power, with judges who were both erudite and conscious of their constitutional and social responsibilities. Popular respect for it was always undergirded by an unquestioned faith in judicial competence to do the right thing. Agusta Scam: Why Target Ex-Air Chief Tyagi While Letting Off The Babus And Netas? One does not have to hold a brief for Tyagi to note that one man could not have tweaked the Agusta deal all on his own. The investigative agencies can surely check Tyagi’s involvement, but can they afford to presume everyone else is squeaky clean? At the very outset, I have to enter this caveat, because it is the right and proper thing to do, and also because the protagonist in this essay would want me to do it. I have had the pleasure of knowing Air Chief Marshal SP Tyagi (Retd), the former IAF chief (CAS) for about 11 years. During this period, ever since we held out our hands of friendship to each other, I have developed a distinct liking for this air warrior and he has reciprocated in full measure. At our very first meeting, he introduced himself as “Bundle” or “Shashi”. Either would do. That is how it has been over the last decade. So, in this essay, he will be either the former CAS or SPT or either of the two names by which he is addressed by his friends. I mentioned to SPT during our first interface that I had been his guest on a couple of occasions at the annual Air Force Day parade and fly-past. With some trepidation, I told him I admired a CAS who arrived at the function by doing a para-jump from a chopper. In the knowledge driven era, companies have no time to waste in creating an intellectual property strategy. The 21st Century belongs to entrepreneurs – driven by Creativity and Innovation, which need to be protected and channelized for better use in future. Enhancing the protection of IPR beyond the Trade-Related Aspects of Intellectual Property Rights (TRIPS), the Indian government has announced National Intellectual Property Rights (IPR) Policy that is compliant with global norms. IPR policy will lay the future roadmap for intellectual property in India. It recognizes the abundance of creative and innovative energies that flow in India and the need to tap into and channelize these energies towards a better and bright future for all. Intellectual property (IP) is a collection of ideas and concepts, which can be protected through trademarks, copyrights and patents. If you make it easy for others to steal your ideas, you can ultimately end up washing away your own path to success. The National IPR Policy is a vision document that aims to create synergies between all forms of intellectual property, concerned statutes and agencies. It aims to set in place an institutional mechanism for implementation, monitoring and review of IPR regime. National IPR Policy is designed in a way to facilitate the ease of doing business in India. The policy ensures credibility with potential investors and strategic partners encourages them to invest in India. India claims to have been pressurized by the US to make the IPR protection stricter in India to curb the piracy of music, movies and unlicensed software, which causes losses of $7 billion annually. The Indian Ocean is the world's third largest body of water and has become a growing area of competition between China and India. The two regional powers' moves to exert influence in the ocean include deep-water port development in littoral states and military patrols. Though experts say the probability of military conflict between China and India remains low, escalated activities (such as port development and military exercises) and rhetoric could endanger stability in a critical region for global trade flows. But the diverse nontraditional security challenges in the Indian Ocean Region (IOR) also offer areas of potential collaboration for China and India, as well as other regional actors. What is the importance of the Indian Ocean? The Indian Ocean covers at least one fifth of the world's total ocean area and is bounded by Africa and the Arabian Peninsula (known as the western Indian Ocean), India's coastal waters (the central Indian Ocean), and the Bay of Bengal near Myanmar and Indonesia (the eastern Indian Ocean). It provides critical sea trade routes that connect the Middle East, Africa, and South Asia with the broader Asian continent to the east and Europe to the west. A number of the world's most important strategic chokepoints, including the Straits of Hormuz and Malacca through which 32.2 millions of barrels of crude oil and petroleum are transported per day—more than 50 percent of the world's maritime oil trade—are found in the Indian Ocean Region, which itself is believed to be rich with energy reserves. Nearly 40 percent (PDF) of the world's offshore petroleum is produced in the Indian Ocean, coastal beach sands and offshore waters host heavy mineral deposits, and fisheries are increasingly important for both exports and domestic consumption. While there have been clear signs of India’s consolidation of its naval power in the Andaman and Nicobar Islands, some analysts see the recent developments as part of a larger strategic design in the wider eastern littoral. It is not happenstance, for instance, that India’s new aircraft carrier, the INSVikramaditya, visited ports in Colombo, Sri Lanka, and Malè, Maldives, in January; it is rare for an Indian aircraft carrier to visit two South Asian littoral states in the same deployment. Scouring the Pakistani media one failed to find any advance references to the visit of Pak Army Chief’s visit to China. The first sentences of the visit were visible on Tweets and Facebook by ISPR Chief, Lt. Gen. Asim Bajwa on May 16 2016 evening which was the day after Pak Chief’s arrival in Beijing and after he had met top Chinese political leaders and Chinese military hierarchy. No information available that he met the Chinese President. The follow-up Tweets by ISPR Chief on conclusion of Pak Army Chief’s visit reflected that the Vice Chairman of the Central Military Commission stressed that “the security of the China Pakistan Economic Corridor was the unshirkable responsibility of the two militaries”. Notice the stress by China on the “two militaries” and not that of China and Pakistan. Summing-up his ‘Impressions” on the China visit, the ISPR Chief tweeted that the visit was “Very intense, highly formal visit, strategic relationship manifested in talks and interactions.” The stress on “intense” should be read as signifying the serious discussions on Pak Army –centric strategic concerns. It should be evident that China’s strategic investments in Pakistan including the latest flagship project, the China Pakistan Economic Corridor, do merit re-assuring each other’s firm intentions to stand by each other. The China-Pakistan Army Axis is a vivid example of how China and Pakistan use and exploit each other’s strategic uncertainties. WASHINGTON — Early on Saturday, a middle-aged Pashtun man used forged documents to cross from Iran into Pakistan. A few hours later, on a lonely stretch of highway, he was incinerated by an American drone. It is not exactly clear how the Americans tracked Mullah Akhtar Muhammad Mansour, leader of the Afghan Taliban, to a white sedan rattling across the arid expanse of Baluchistan Province. The United States picked up a mix of phone intercepts and tips from sources, American and European officials said, and there were reports that Pakistan also provided intelligence. President Obama described Mullah Mansour’s death on Monday as an “important milestone” — but the strike was also an illustration of the tangled relationship between Washington and Islamabad. Not since Mr. Obama ordered Navy SEALs to hunt down Osama bin Laden in May 2011 has he authorized a military incursion in Pakistan as audacious as this one. The White House did not inform the Pakistanis in advance of the operation, which occurred outside the frontier region near Afghanistan, the one place where Pakistan has tolerated American drone strikes in the past. By using the military’s Joint Special Operations Command rather than the C.I.A. to carry out the attack, the United States denied Pakistan the fig leaf of a covert operation, which in the past has given the Pakistanis the ability to claim they had been consulted beforehand. Based on ideology, Washington should not sell weapons to Hanoi, but it is. Commuters using smartphones stand in line at a bus station in Beijing on March 2. (Qilai Shen/Bloomberg) BEHIND THE FIREWALL: How China tamed the Internet | This is part of a series examining the impact of China’s Great Firewall, a mechanism of Internet censorship and surveillance that affects nearly 700 million users. BEIJING — First there was the Berlin Wall. Now there is the Great Firewall of China, not a physical barrier preventing people from leaving, but a virtual one, preventing information harmful to the Communist Party from entering the country. Just as one fell, so will the other be eventually dismantled, because information, like people, cannot be held back forever. But try telling that to Beijing. Far from knocking down the world’s largest system of censorship, China in fact is moving ever more confidently in the opposite direction, strengthening the wall’s legal foundations, closing breaches and reinforcing its control of the Web behind the wall. We have followed the law in striking out and relentlessly pounding at illegal organizations and key figures, and resolutely followed the law in striking at the illegal organizations and key figures who follow the 14th Dalai Lama clique in carrying out separatist, infiltration, and sabotage activities, knocking out the hidden dangers and soil for undermining Tibet’s stability, and effectively safeguarding the state’s utmost interests [and] society’s overall interests. This report documents the Chinese government’s detention, prosecution, and conviction of Tibetans for largely peaceful activities from 2013 to 2015. Our research shows diminishing tolerance by authorities for forms of expression and assembly protected under international law. This has been marked by an increase in state control over daily life, increasing criminalization of nonviolent forms of protest, and at times disproportionate responses to local protests. These measures, part of a policy known as weiwen or “stability maintenance,” have led authorities to expand the range of activities and issues targeted for repression in Tibetan areas, particularly in the countryside. Islamic State has claimed responsibility for a series of blasts that killed more than 120 people in a loyalist coastal enclavethat has remained the most tightly controlled part of Syria throughout the civil war. The attacks targeted Tartous, which hosts a Russian naval base, and Jableh, 50 miles to the north. Both cities had been spared the destruction that has laid waste to other parts of the country over more than five years. Isis announced that the explosions were its work within hours of sending suicide bombers and car bombs into the area. Four blasts, several carried out by suicide bombers, caused chaos in Jableh, killing more than 70 people, while three more detonated near a petrol station in Tartous, killing about 50 people and maiming scores more. The terror group said it was targeting supporters of the Syrian president, Bashar al-Assad, and gatherings of the Alawite sect, to which Assad and many of Syria’s ruling class belong. Assad has been heavily backed by Russia since the war began. Moscow’s backing had become more resolute over the past seven months, after Vladimir Putin launched a large-scale intervention last October against rebel groups and jihadis, which has since laid waste to many opposition-held areas in northern Syria. Four helicopters and 20 lorries were destroyed in a series of fires inside the T4 base last week, the images from intelligence company Stratfor suggest. The cause of the fires is unconfirmed. A pro-Kremlin website said the helicopters had been “used by both Russian and Syrian air forces”. Russia has not officially commented on the incident. A Russian opposition website quoted Syrian sources as saying “a large fire in the Syrian part of the T4 airbase spread to the fleet of vehicles, and after a fuel tank exploded four Russian helicopters nearby went up in flames”. “The cause of the fire is being established,” it added. An elite Iraqi force that just led a mission to retake an Islamic State group stronghold near the Syrian border now has its sights set on getting Fallujah back into the hands of the government. The commandos — part of Iraq's Counter-Terrorism Service — is leading the charge to retake Fallujah, the first Iraqi city to fall to ISIS in January 2014. It was considered a devastating blow to the Iraqi government, and to the Marines who fought two of the Corps' bloodiest battles there. The Counter-Terrorism Service, or CTS, stormed Fallujah on Sunday, backed by Iraqi soldiers and the national police, said Navy Capt. Jeff Davis, a Pentagon spokesman. About 1,500 members of the CTS were involved in the fight to retake the Iraqi city, along with about 10,000 local soldiers and roughly 8,000 members of the police force, CBS reported Monday. About a week earlier, the CTS led the charge to wrest the strategic town of Rutbah from ISIS, Army Col. Steve Warren, spokesman for Operation Inherent Resolve, told reporters after that mission ended. As federal police cordoned off the village, the CTS directly engaged ISIS fighters. The U.S. wants to be liked, but knows it is feared. A century from now, when people visit Barack Obama’s presidential library, this should be one of the very first things they see because of how much it reveals about his presidency and the United States’ current role in the world. 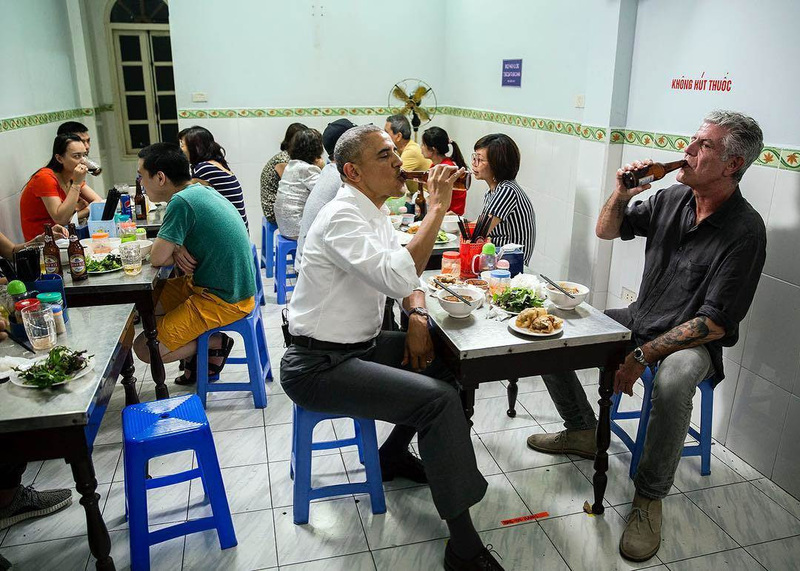 Obama arrived in Vietnam on May 22 to continue building on the growing strategic partnership between Hanoi and Washington, but he had to counter the historical overtones of an American president traveling to Vietnam to ask something of it. The Army is about to enter pilot testing on a new software system to help commanders in the field respond more nimbly to rapid variations in cyber threats. Known as the Assured Compliance Assessment Solution (ACAS) Reporting Toolkit, or ART, this capability aims to provide commanders and program managers with the most up-to-date information available on their own cyber posture and to help keep those defenses current. Designed by Army’s Program Executive Office Command Control Communications-Tactical (PEO-C3T), the ART solution addresses multiple challenges including a lack of centralized control over security in battlefield applications, known as clients. “Right now every tactical unit has their own domain. We don’t have administrative privileges over those clients,” said Chief Warrant Officer 5 James Ebeler, who spearheaded the project for Army Network Enterprise Technology Command (NETCOM). “We want to be able to see all clients, to see the [security] compliance level within those clients so then we can patch those vulnerabilities,” he said. To that end, NETCOM expects to launch a pilot of ART soon at the regional cyber center at Fort Huachuca, Arizona, with an expected rollout to tactical units in early 2017. A deep dive into Internet infrastructure, plus a rare visit to a subsea cable landing site. Ah, there you are. That didn't take too long, surely? Just a click or a tap and, if you’ve some 21st century connectivity, you landed on this page in a trice. But how does it work? Have you ever thought about how that cat picture actually gets from a server in Oregon to your PC in London? We’re not simply talking about the wonders of TCP/IP, or pervasive Wi-Fi hotspots, though those are vitally important as well. No, we’re talking about the big infrastructure: the huge submarine cables, the vast landing sites and data centres with their massively redundant power systems, and the elephantine, labyrinthine last-mile networks that actually hook billions of us to the Internet. And perhaps even more importantly, as our reliance on omnipresent connectivity continues to blossom, the number of our connected devices swells, and our thirst for bandwidth knows no bounds, how do we keep the Internet running? How do Verizon or Virgin reliably get 100 million bytes of data to your house every second, all day every day? Well, we’re going to tell you over the next 7,000 words. Three of the 11 banks given tentative nods by the Reserve Bank of India (RBI) to set up payments banks have said “No, thank you”. The latest to drop out is Tech Mahindra, which pointed to the long-gestation period and thin margins as reasons for exiting. Earlier, pharma billionaire Dilip Shangvi, and Cholamandalam Distribution Services bid adieu to the idea. This leaves eight players in the ring, including Aditya Birla Nuvo, Airtel M-Commerce, India Post, Reliance Industries, the National Securities Depository Ltd, Vodafone m-Pesa, Paytm and Fino PayTech. What’s up? Has the payments bank business model gone bust even before takeoff? Not quite. What is probably happening is that the peripheral players, those who earlier thought this was a good way to get into banking through the side-door, are getting out. The players still left, though, are the serious ones who can invest in it for the long-term and have connected businesses and infrastructure to support the foray. Payments banks, as the name itself suggests, are about making payments using small deposit balances. They have low capital requirements (Rs 100 crore minimum), and they have to invest 75 percent of the money raised in government securities. The rest of the money can be kept with banks for liquidity management. Hence there is little chance of bad loans doing them in. Payments banks can accept deposits upto Rs 1 lakh. WASHINGTON: In a report out this morning, CSBA scholars Bryan Clark and Mark Gunzinger argue that we don’t just need new technology and new tactics to confront the growing missile threats from China and Russia, though lasers, railguns, and hypervelocity projectiles are all useful. We need a different missile defense mindset than what we have today, one that trusts computers to shoot down incoming weapons at literally the last minute. When it comes to their social media preferences, U.S. teens are about as loyal as Brutus was to Caesar. Facebook? Is for parents! Twitter? Not nearly enough selfies! Instagram? So 2015! According to Piper Jaffray's bi-annual survey of teenagers in the United States, Snapchat is where the cool kids get their social media fix these days. 28 percent of the 6,500 teenagers polled this year named Snapchat as their most important social network, propelling the chat app past Instagram and Twitter, which both saw their popularity among America's youngsters decline over the past 12 months. Snapchat may have conquered the hearts of teenagers, but it has yet to win over advertisers. According to a recent report, the app trails its peers by a mile in terms of utilization in advertising campaigns. The chart shows which social networks U.S. teenagers prefer in Spring 2016. But it's not a shooting war; not a war where combatants have been killed or wounded — at least not yet. It's a war that pits nations against each other for dominance in cyberspace, and the United States, like other nations employing professional hackers as "cyber soldiers," sees it as a battlefield just like any other. As US military leaders warn of the growing progress of Russia, China, and North Korea in cyberspace, the Pentagon has ramped up its own efforts in what it calls the "cyber domain" after the release of a new cyber strategy in April 2015. "This ephemeral space that's all around us, literally, is a space where operations can be performed against us," Frank Pound, a program manager who leads DARPA's "Plan X" cyber warfare platform, told Tech Insider. "And how do we defend against that? How do we detect that?" Will America be reduced to pre-industrial chaos? No. Does that mean we should feel protected? Absolutely not. To live in the information age is to live on the brink of conflict. Increasingly, it seems, Americans are coming to terms with this idea: the forever cyber war. But this awareness, a back-of-mind sort of static, hasn’t come to the fore of public debates about national security, much less the presidential election. This silence is in part because the screaming headlines rule the day, and there are few cybersecurity specialists both loud and respected enough to compete. John McAfee, the cybersecurity influencer and founder of McAfee Associates, is one of them — and he’s not afraid to yell himself hoarse. A half-century ago, as the nuclear threat loomed large, civilians knew where fallout shelters were, how many iodine pills to take, and how to hide under their desks. Today, Americans are more concerned about cyberattacks than ballistic missiles, but, because there is no real consensus on what a massive cyberattack could look like, there is no cultural imperative to prepare. And no wonder: while some experts spin apocalyptic prophecies — the more grandiose the vision, the greater the screen time — others point to the finite impacts of targeted assaults on discrete weaknesses. As it stands, the only way to make sense of the borderline ridiculous civilian conversation about national cybersecurity is to contextualize the rhetorical warnings that make headlines within the context of the concerns that don’t. Cloud computing, a shared pool of computing resources that are readily available to meet the user’s rapidly changing demands, has opened up many new opportunities and risks for society that in many ways are revolutionary. The Department of Defense (DOD), because of its size and mission, faces significant opportunities and security challenges when implementing a cloud computing environment. A cloud based infrastructure can provide extensive savings for the DOD. However, a cloud configuration introduces new potential security risks that DOD IT professionals must weigh when evaluating the potential cost savings associated with cloud computing. The similarities teach certain lessons that are more or less permanently true, but they cannot serve as fixed guides to each new and unique situation. Thinking-by-analogy can be just as dangerous as historical amnesia: because A looks like B, there’s a strong temptation to abandon the immense difficulty of understanding B on its own terms, and instead to let the outcome of A do the thinking for you.